13% plan to get one. 41% say they do not need a website. 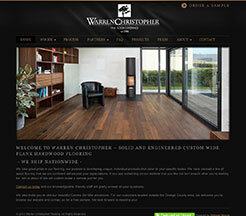 Businesses that have good websites are more credible, and a good website makes a business look more established. The consumers interviewed said they are more likely to do business with a company that has a website. This means that if you are a small business owner, you need to get a website that makes your business look credible, accessible and contact worthy. 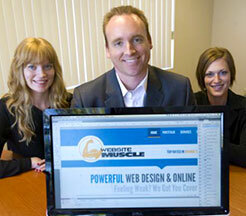 Sam Nelson, owner and founder of Website Muscle has a track record of success in coding and designing company websites.Small business owners seek him out to design and build a new site, or revamp an existing site that isn’t generating traffic or leads. 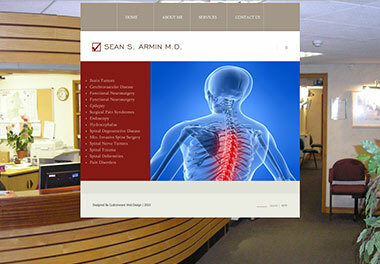 He’ll work together with his clients to transform the look, feel and function of the site to make it more successful, and ultimately bring in more business. Nelson recommends laying a solid foundation for your site by including a clear, compelling call to action, intuitive navigation, and an attractive design, for starters. 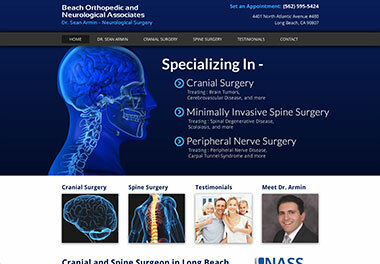 Take a look at this before and after website Nelson designed for Dr Sam Armin in Orange County, CA. If any of these are missing, a consumer will likely click off your site without ever contacting you. Nelson says its also critical to consider these three factors, when building your site: your specialty, what you want your prospects to do after they land on your site, and promoting your new site with direct mail. You can drive traffic to your site by sending announcements or postcards that offer the first 100 visitors 25% off, or offer a free service to the first 25 people who make a purchase. Who your target market is (Specific age range, profession, interests, etc.) (this may require some simple market research). See if your business name is available as a domain for your website. Go to Go Daddy or one of the other free sites to check on name availability and options. Then choose a domain name. 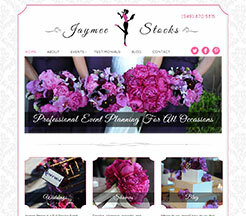 Decide on the number of pages (minimum should be home page, services/products, about, contact). Select authentic images (not stock ones), if possible. Studies have shown that people prefer authentic pictures over stock photos. In fact, when you have an important message to communicate, always include a compelling photo. Writes short sentences (7 to 15 words) and short paragraphs (3 to 5 sentences). If ranking the page in Google is important, then most SEO experts recommend a minimum of 500 words on that page. Good search engine optimization is also critical for your site. To learn more about the basics of proper SEO, read Beginners Guide to SEO.